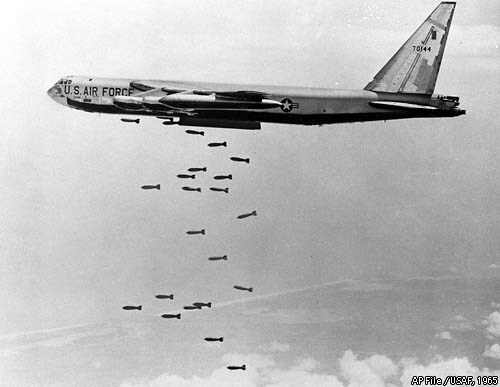 Americans have been bombing civilians for quite some time. In school we were told that the Rules of War impelled us, the good guys, to only deliberately target soldiers, and that any civilians causalities were “collateral damage” and accidental, but if this ever was the case it has not been so for some time. 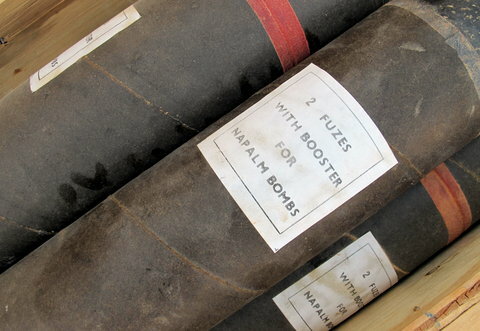 Napalm was developed as a way to most effectively burn down Japanese cities, causing huge fire storms as the paper and wood buildings caught fire. The canisters we dropped were designed to break through the roof of a house and detonate in the main living area. We were targeting civilians. The firebombing of Tokyo, Dresden and Berlin were designed to force a surrender by demoralizing the populace. In Korea, we did the same, and seriously considered dropping nuclear weapons on the huge Chinese army that was massed along the Yala river border. 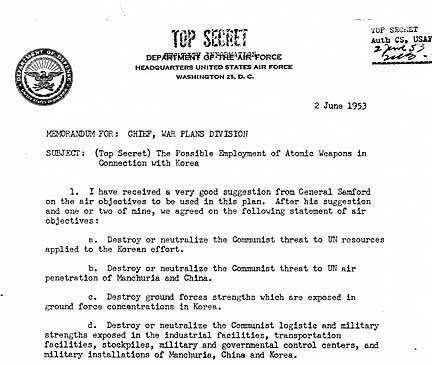 It was only at the last-minute that President Truman stopped General MacArthur from doing so, for in fact the nuclear bombs had already been deployed. America is addicted to the idea that we can exercise persuasive military might without putting “boots on the ground,” by bombing people from plans that are so high up they can’t be shot down. Now in addition to bombers we have drones that can fire missiles, so the notion is even more attractive. Remote control bullying. One thing we certainly accomplish by bombing people who don’t agree with us is that we make generations of these same people hate us. When fire rains down from the sky, the death toll is indiscriminate. 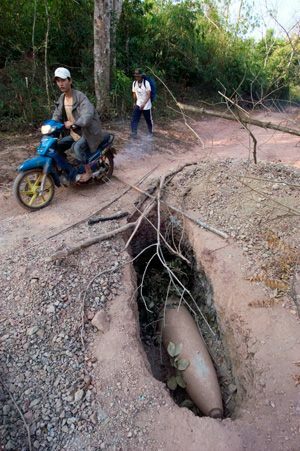 Korea, Laos and Vietnam tell stories of villagers hiding in caves who were incinerated by napalm strikes. 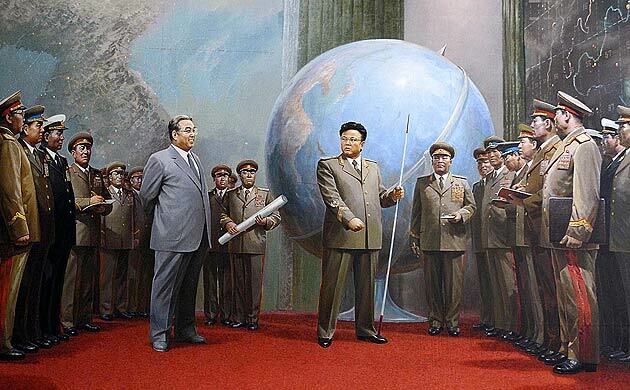 North Korea’s hatred of the United States is so highly developed it would be funny if it weren’t grounded in a resentment that simply won’t die. They still blame us for everything bad that happens in their country. 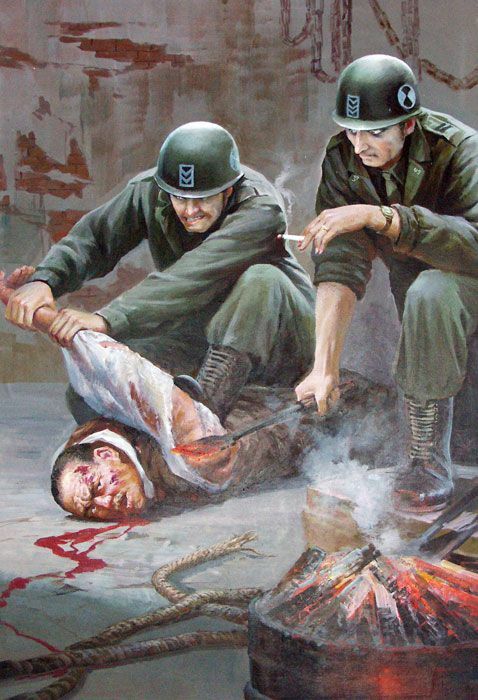 This resulted from a United Nations Police Action (as was the Vietnam War) where we had not formally declared war. There was no truce because there was so surrender. But there was and is hatred, lingering smoldering hatred that will take many years to extinguish. 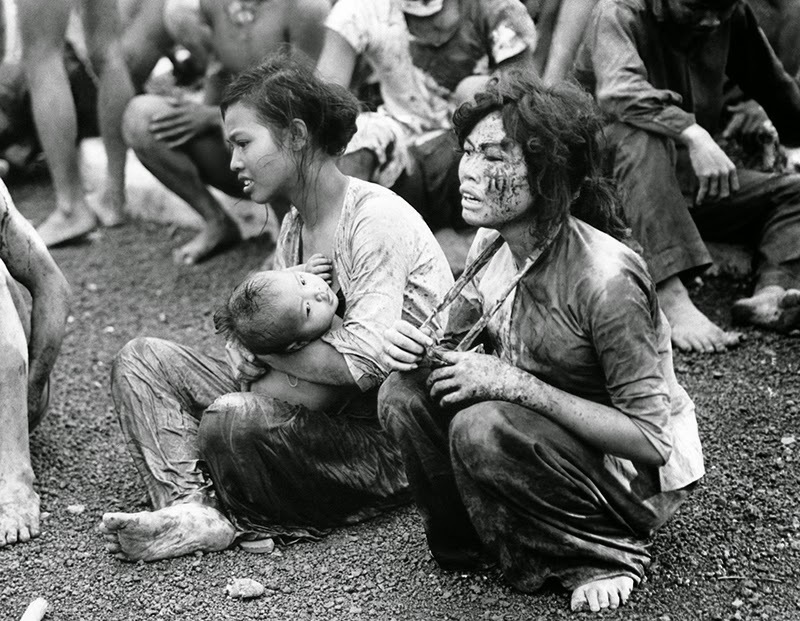 Laos bombed by the U.S.
• There were more than 580,000 bombing missions on Laos from 1964 to 1973 during the Vietnam War. • That’s equivalent to one bombing mission every eight minutes, 24 hours a day, for nine years. • Over two million tons of ordnance was dropped on the country, with up to 30 per cent failing to explode as designed. 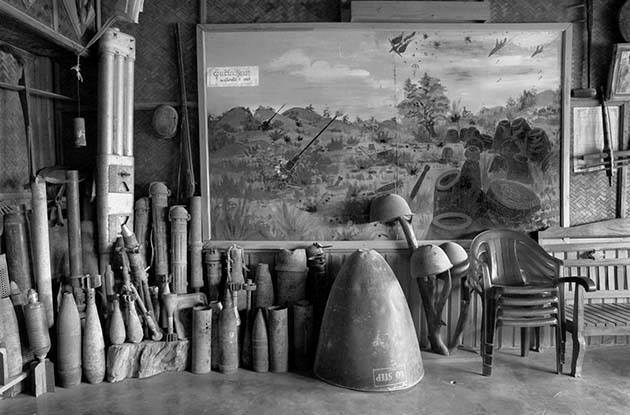 • More than 270 million cluster munitions (or ‘bombies’, as they are known locally) were used; up to 80 million failed to detonate, remaining live and in the ground after the end of the war. • Approximately 25 per cent of the country’s villages are contaminated with unexploded ordnance (UXO). 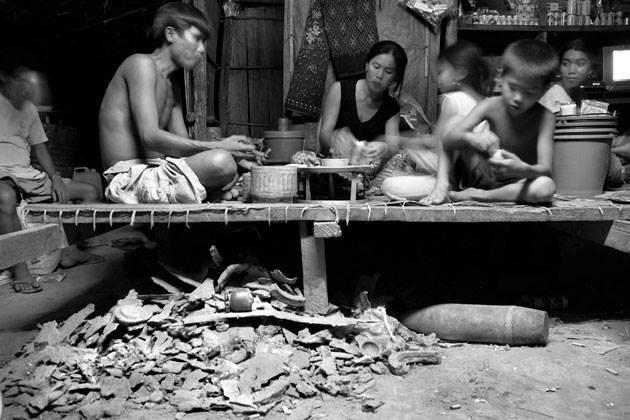 • All 17 provinces suffer from UXO contamination. 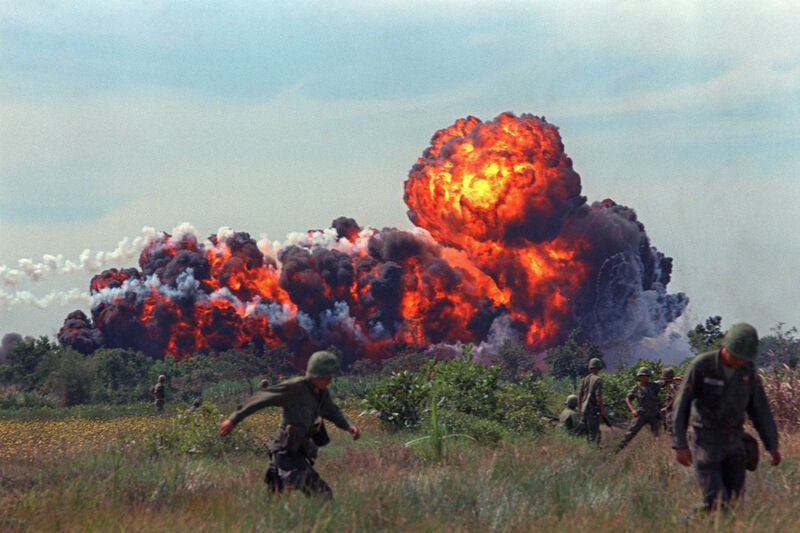 • More than 50,000 people were killed or injured as a result of UXO accidents from 1964 to 2008. 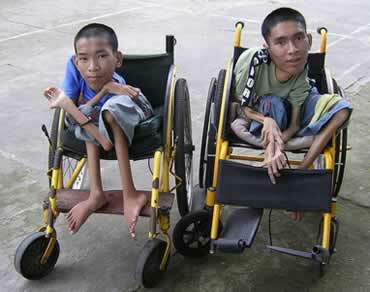 • From the end of the war in 1974 to 2008, more than 20,000 people were killed or injured as a result of UXO accidents. • There have been approximately 300 new casualties annually over the last decade. • Over the last decade 40 per cent of total casualties were children. When our carpet bombing of Laos was happening it was a secret war, and no one was authorized to talk about it. Later, after our defeat in Viet Nam, nobody wanted to think or hear about it. 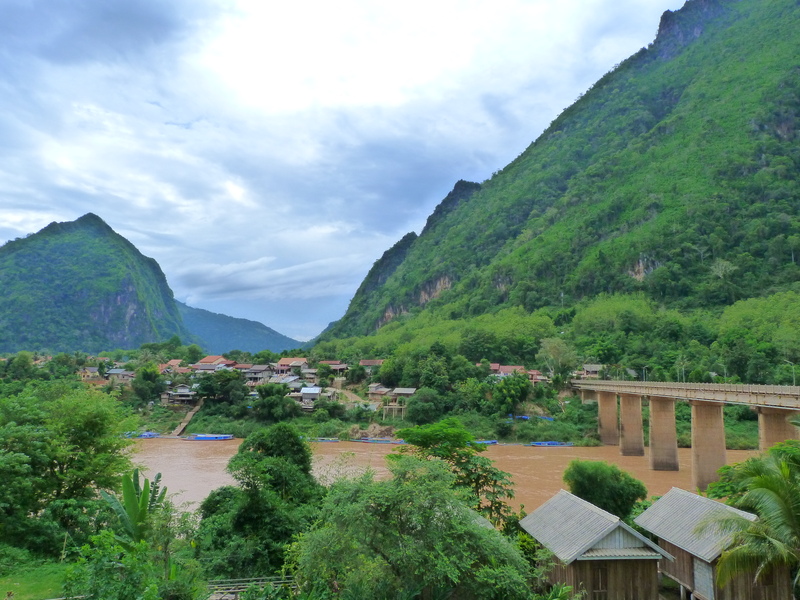 I recently spent eight days in Northern Laos and was struck by the sweet nature and good cheer of the people I met. I’d like to go back and visit the most heavily bombed areas in the south of the country. check out this animated map. It’s quite moving. 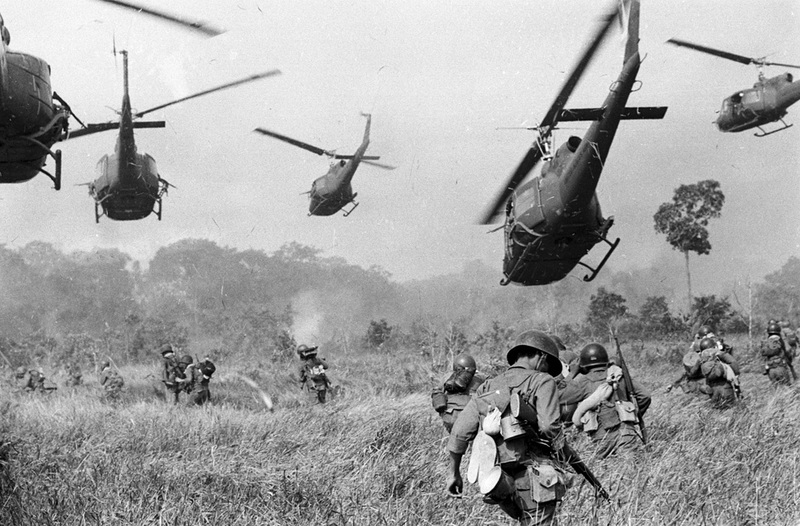 The Vietnamese had an army and an air force of sorts that could fight back, but Laos was largely undefended. There are already NGO’s involved in the removal of UXO (un-exploded ordinance,) but the problem is so great that any attention brought to it would not be a bad thing. 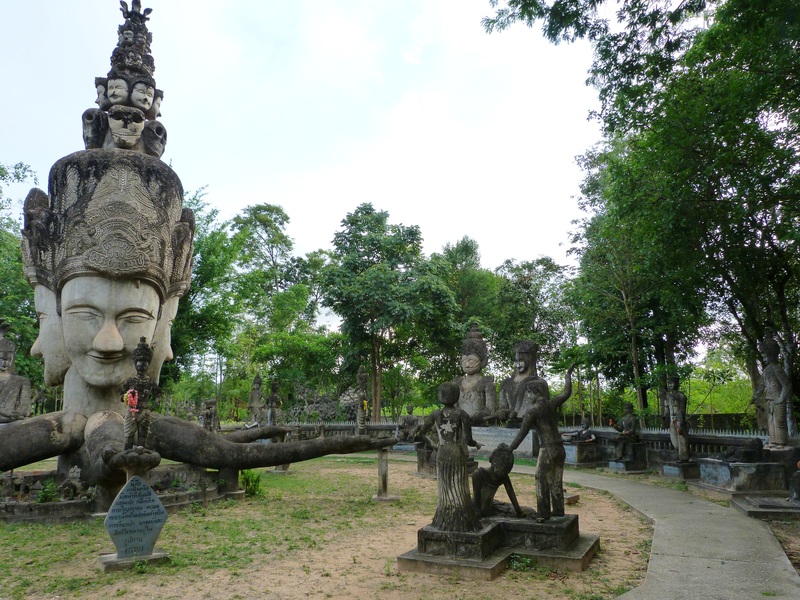 Laos is the Paraguay of Southeast Asia. It’s terribly poor with awful roads and the public transportation system tests the mettle of anyone brave or foolish enough to use it. The bus we rode on from Vientiene to Luang Prabang was proudly marked VIP in letters three feet tall, but the air-conditioning was no match for the temperature outside and it had no bathroom. Most of our time we could not ride busses but rather found ourselves crammed into twelve-passenger minivans, and these had no air conditioning at all. 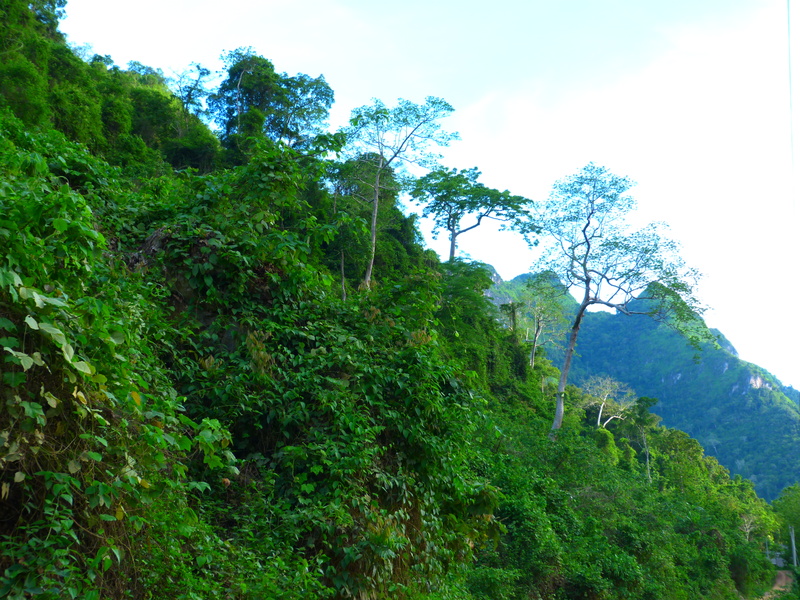 Mostly mountainous, Laos is thickly forested at least for the time being, which made the lack of birds all the more puzzling. 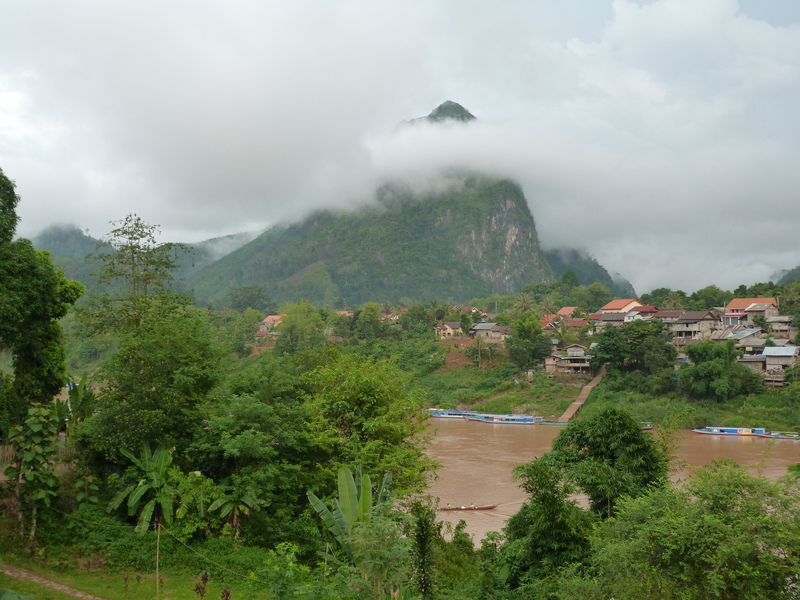 In my week in Northern Laos, I never heard a bird call or sing. There simply weren’t any for they had all been eaten long ago. In order to add poultry to their diet they now raise plenty of chickens and ducks. I saw a man happily herding about twenty ducklings down the highway, laughing while traffic stacked up behind him. Like most of the countries I visit, roosters began crowing before dawn, but there were no bird songs, calls or tweets. I suppose they keep ducks because of the rice paddies. The people I met in the countryside seemed happy and relaxed. Lots of young mothers with babies. 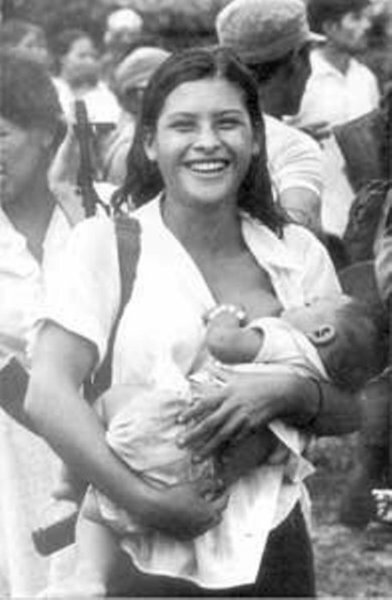 Intact, large families, eating meals together with both men and women taking turns holding the baby. Like Northern Thailand, Laos is home to any number of ethnic groups, what we call “hilltribes” in Thailand, living in impoverished villages in houses that looked like chicken coops, but they seemed pretty happy, too. Children would wave and laugh as we drove by on our rented motor scooter. 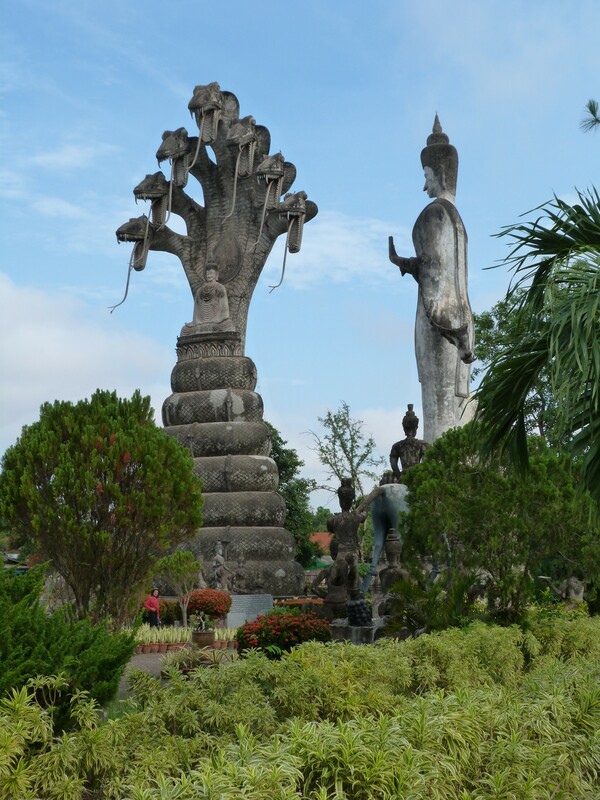 In such a tranquil setting, it seems hard to imagine that Laos is the most heavily bombed place on earth. 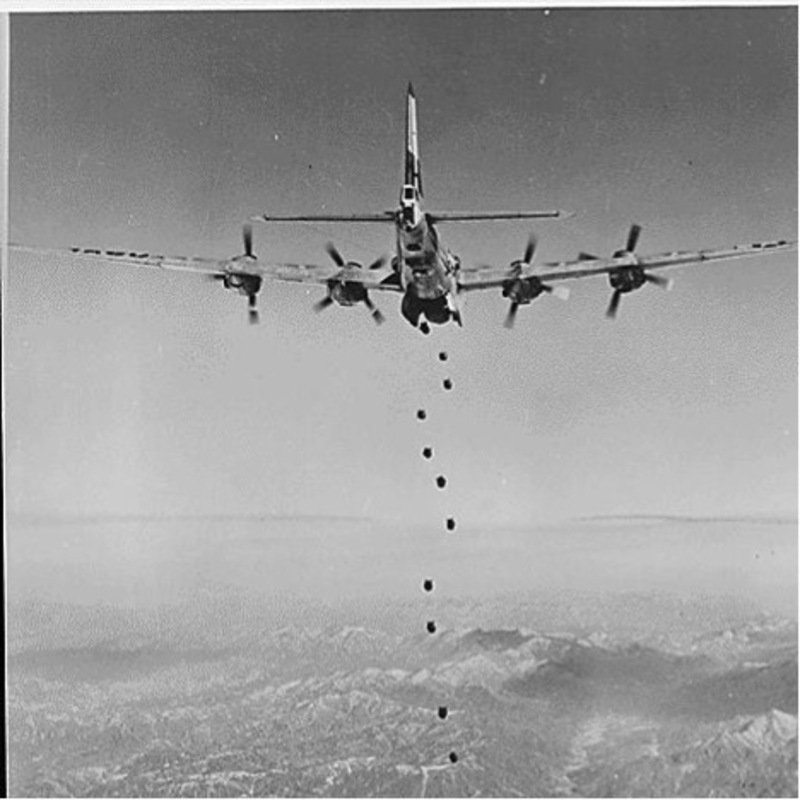 We dropped more explosives on Laos than were dropped by the Allies in all of the Second World War. 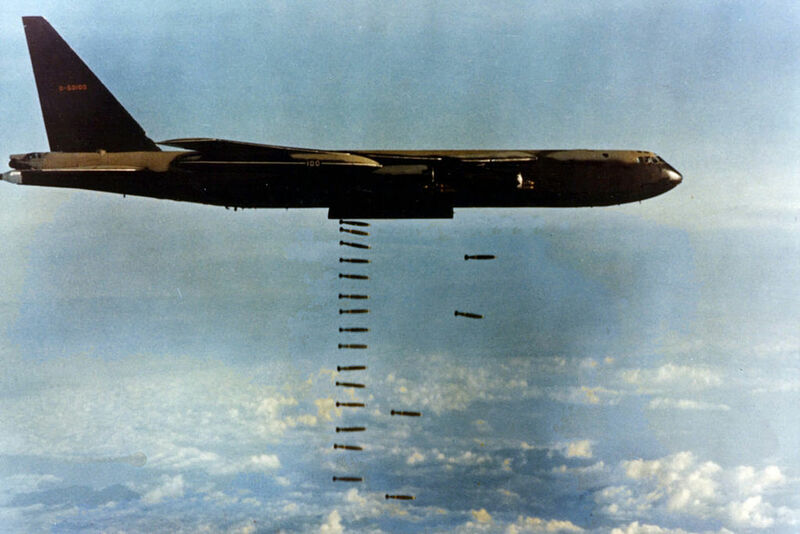 For eight years we spent about eight billion dollars in dropping explosives onto what we called the “Ho Chi Minh trail.” We were not at war with Laos (for that matter, we weren’t officially at war with Viet Nam either) but nevertheless we bombed them daily. 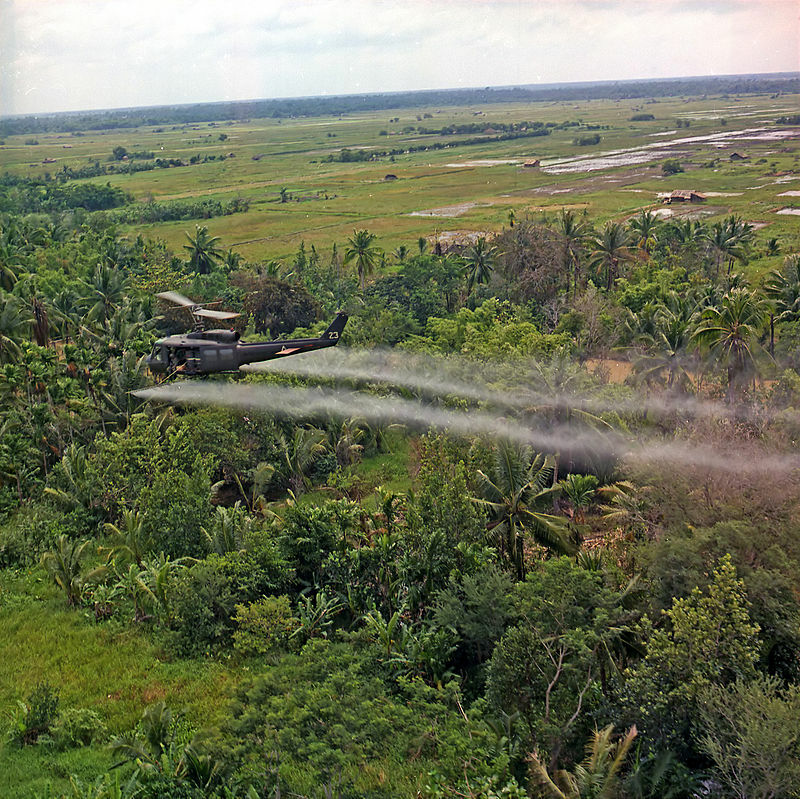 Even when truces caused us to pause our bombing of Viet Nam, we continued bombing Laos. As we drove through one area, I noticed that each farm house had a fish pond nearby. The little ponds were scattered about randomly. 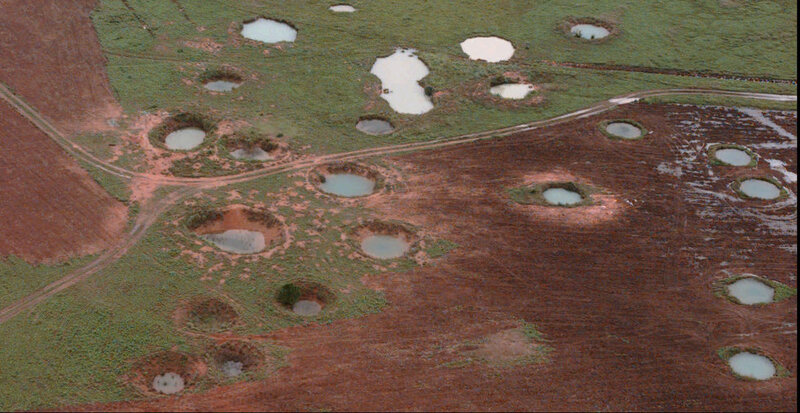 I imagined hard-working farmers digging these ponds until I realized they were bomb craters! There is still a lot of unexploded ordinance around, especially cluster bombs, which resulted in shiny little balls that Laotian children have been warned not to play with. There are even a few five-hundred pound bombs lying in the mud, waiting to detonate when a farmer plows his field or walks through the woods. 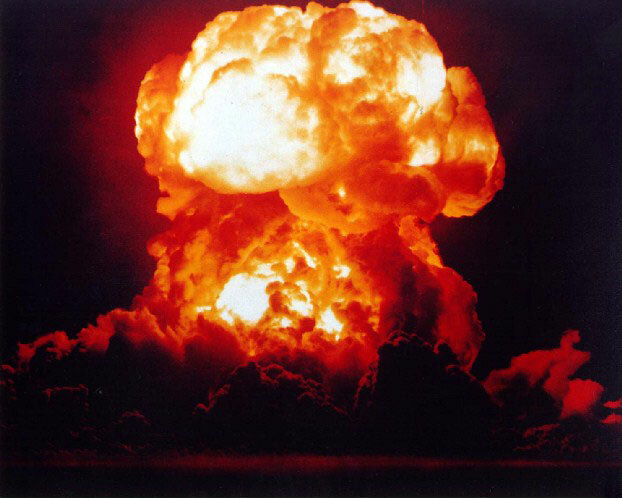 The mechanics of explosives resist corrosion. Heck, there is unexploded ordinance from the First World War still giving French farmers trouble in fields near Verdun. When our campaign of fiery persuasion finally ended, Laos became a communist state about the same time Vietnam did, in 1975. 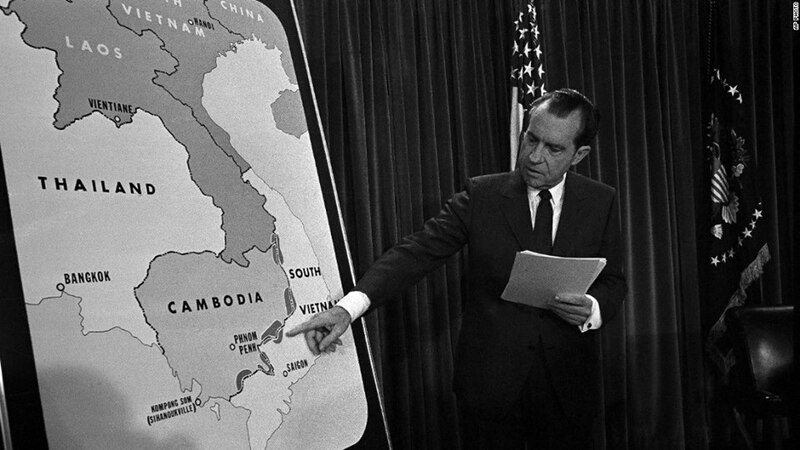 Vietnam has since prospered, but I’m afraid Laos has not been as lucky. 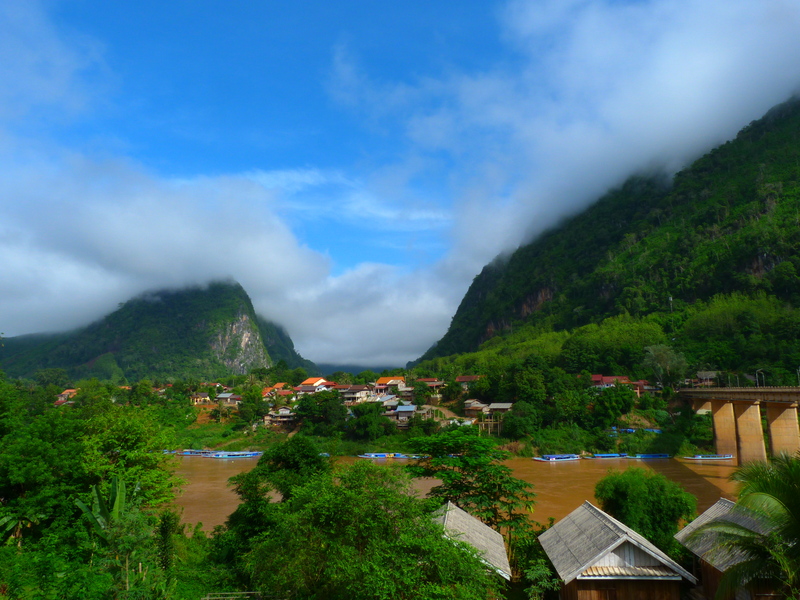 Vietnam has the ocean, but Laos is land-locked and extremely mountainous. 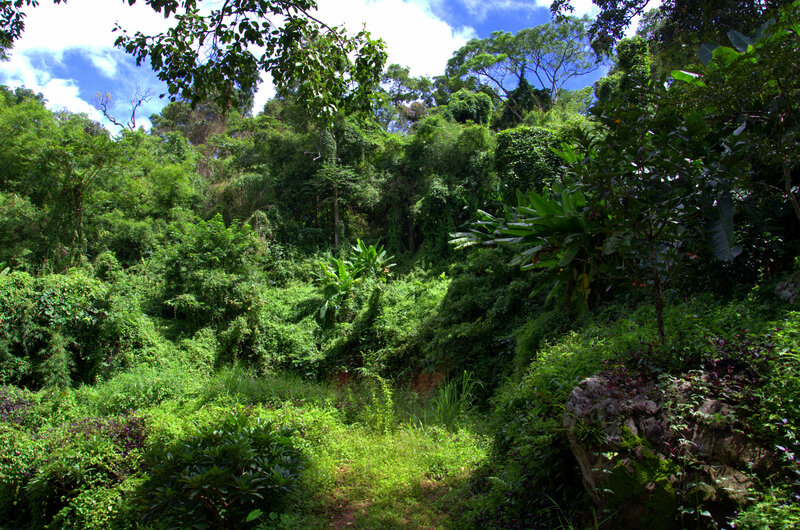 The Chinese are encouraging the Laotians to cut down their forests so they can practice monoculture, and to damn their rivers so they can build hydro-electric dams and sell the energy to China, but I’m hoping these measures will meet some resistance. Out of my eight days in the country, I think we spent 22 hours in travel. I seem to have a knack of picking the worst itinerary possible when planning my trips. I look at a map and think, “well, it only looks like sixty miles. Can’t take more than a couple of hours.” Then I find that it takes half a day to go that distance, and inside a hot, crowded mini-van, that half-day is spent lurching from side to side down roads so irregular they defy description. One such morning our companions were two girls, aged about 14 and 11, who were headed back to their home town because their mother had just died. She was 35. Even though Laotian is closely related to Thai, I was never able to understand the cause of her death. After a preliminary and obligatory display of sadness, the sisters entertained all of us by shrieking with laughter each time the van bottomed out on an especially deep pothole. It’s a wonderful thing when people can hold onto joy despite their problems. And it was a joyous moment the afternoon we crossed the border back to Thailand where busses were air-conditioned, the roads paved, and my ATM card started working again. The next morning at our hotel in Chiang Rai, I heard birds in the tree outside our window welcome the dawn. 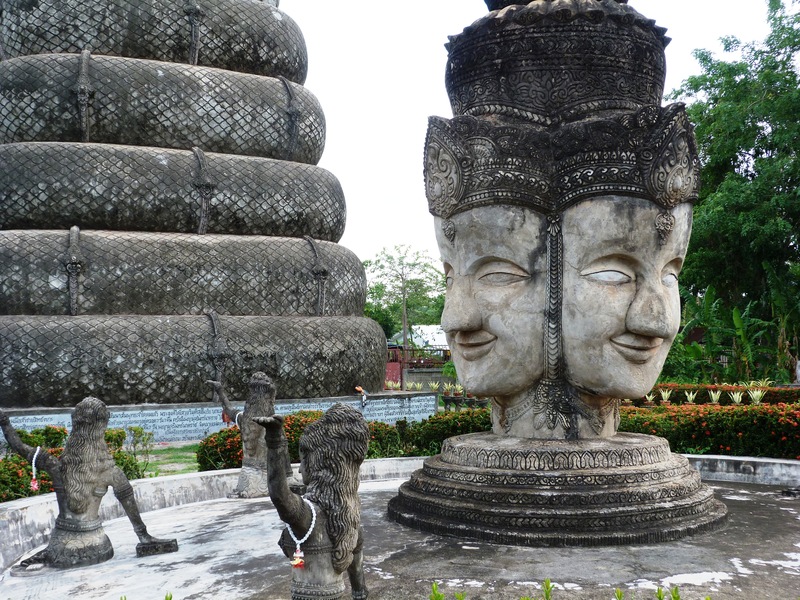 I first heard about Laos in 1965, when I was fifteen and a student at St. Louis University High School. Our school library held three autographed copies of the books of Doctor Tom Dooley, an alum of our high school and my Catholic neighborhood. 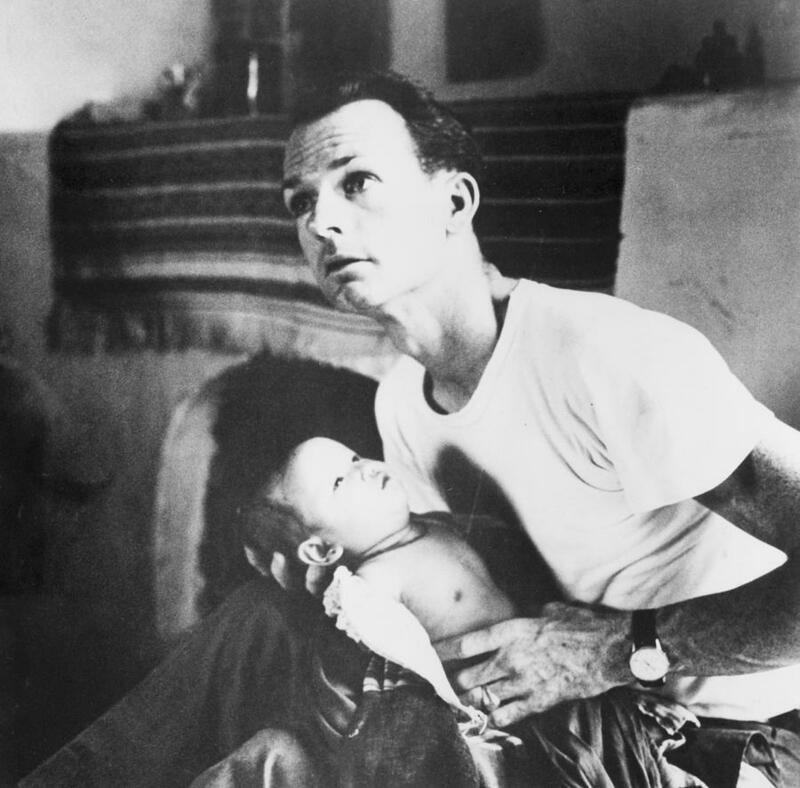 His books had been best-sellers when published in the late fifties, and their strong portrayal of the evils of Indochinese communism may have gone a long way to prompting Kennedy, also a Catholic, to get us involved in the fight against Communism in Laos and Viet Nam. 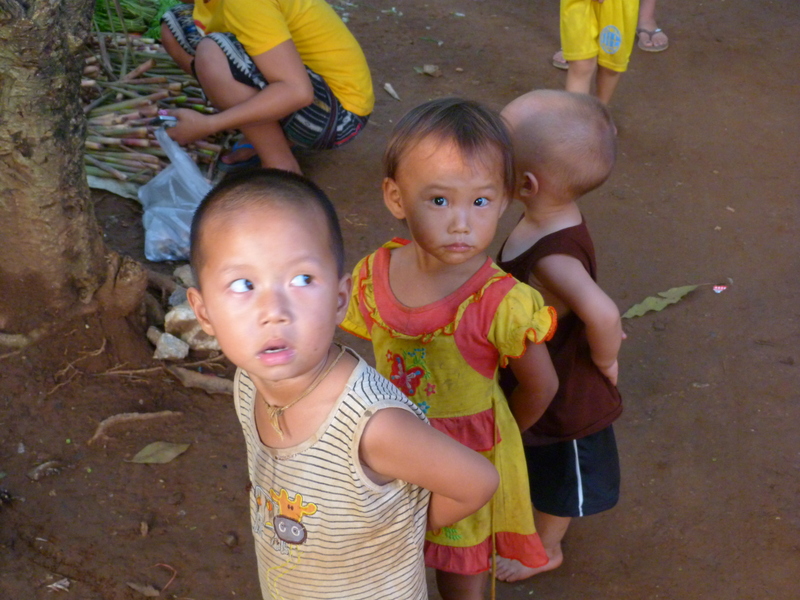 Dooley had started clinics in Northern Laos, and on this trip I was determined to visit the first. 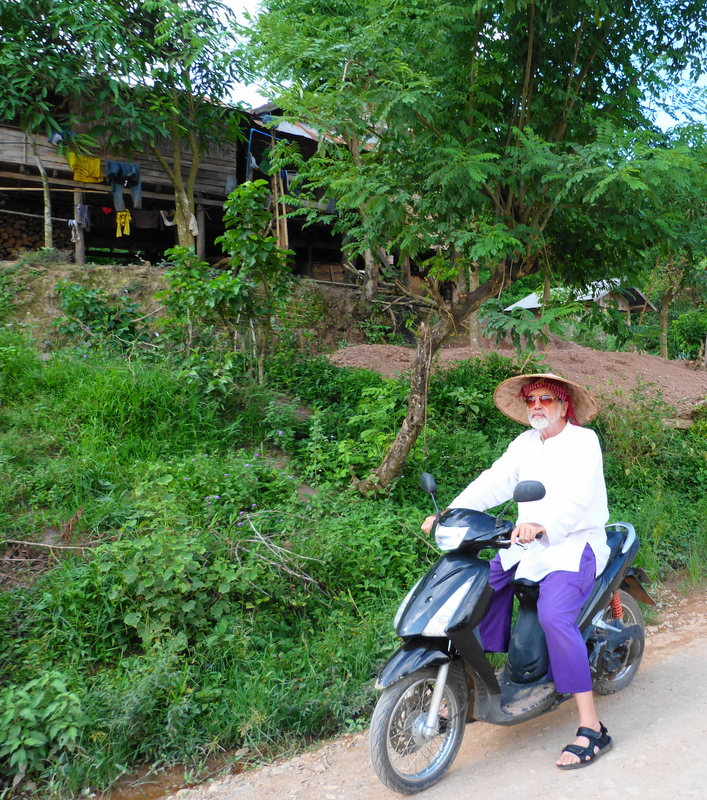 So when we arrived in Luang Nam Tha, I stopped by the local hospital. After struggling to get all my vocabulary ducks in a row, I had mentally prepared a little speech I could give, telling them I had read about this place fifty years ago, and had always wanted to visit the hospital the famous Doctor Tom Dooley had established. Turns out they had never heard of him. No longer an isolated hamlet in the forest, Luang Nam Tha was now a thriving backpacker destination for those launching treks into the nearby forests. The hospital was modern, and although the three doctors I spoke to could give me a few minutes of their precious time, the only information I could get was that a German doctor named Gunter might know more about the history of the hospital, but nobody knew where he could be found. WHAT’S A FELLA TO DO WITH HIMSELF? It seems to strike older men, causing them to spend the rest of their days making strange sculpture parks, sometimes using acres of land and millions of pounds of cement. Often the designs are repetitive, but the sameness of the imagery doesn’t slow these guys down. They have no “off” button. In Iowa, we have the Grotto of the Redemption in West Bend. There a Father Paul Dobberstein, a Roman Catholic priest spent forty years-two years making the world’s most complete man-made collection of minerals, fossils, shells, and petrifications in one place. The rocks alone are thought to be worth four million dollars. 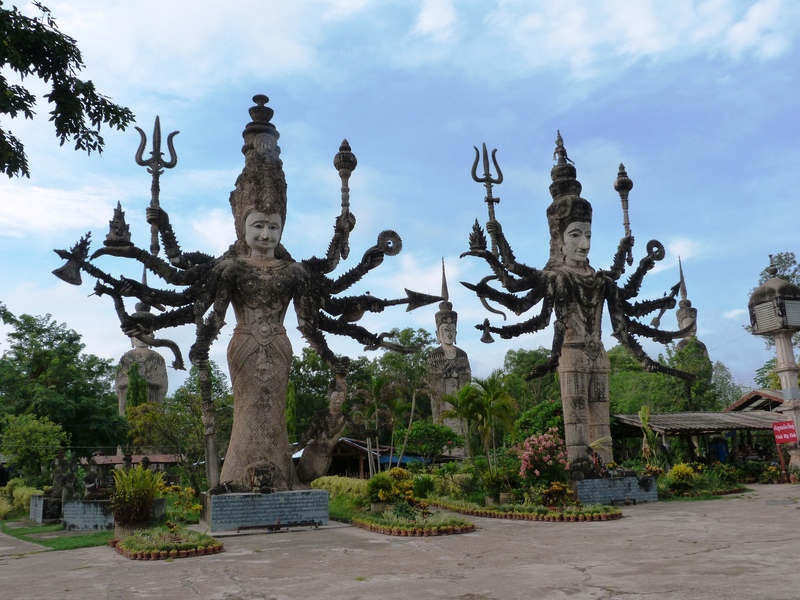 On both sides of the Mekong River, in both Ventiane, Laos and Nong Khai, Thailand, Bunleua Sulilat built enormous, fantastic sculpture parks using both Buddhist and Hindu symbols. He began in Laos, but after the 1975 Communist revolution, decided to continue his work on the other side of the river, in Thailand. These are truly “over the top” both in size and conception. 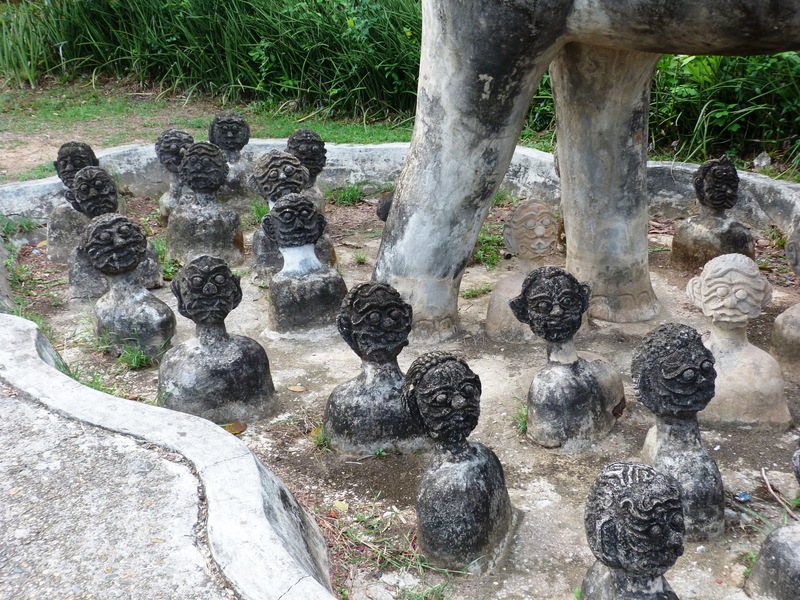 A fall from one of his sculptures on the Thai side led to his demise at the age of 64. 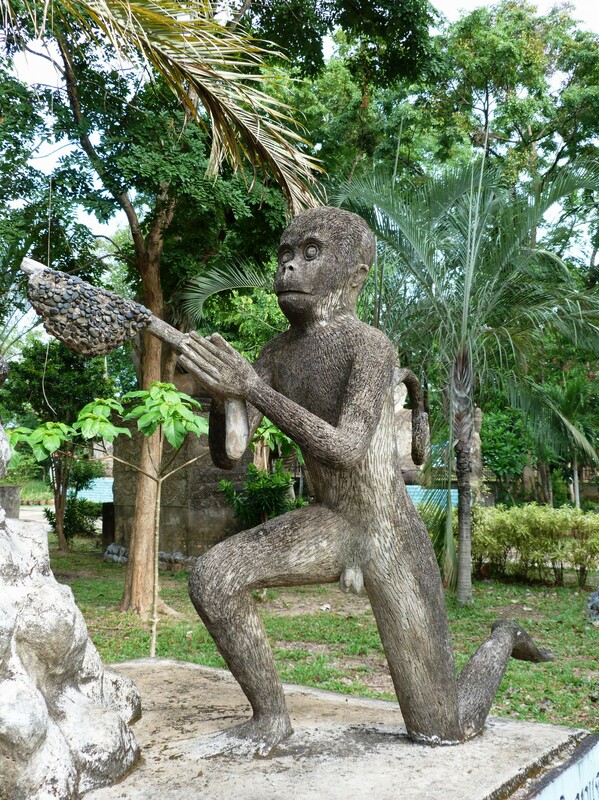 His mummified body is on display in a hall at the park. It certainly gives a guy something to do with his hands, and ends up constituting a life’s work.